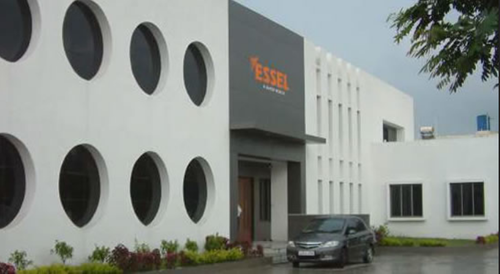 ESSEL VALVES PVT. LTD. Incorporated in 2007. ESSEL VALVES PVT. LTD. Manufactures a vast range of products. There is more to this statement than meets the eye. True, we have evolved as a manufacturer of repute over the years and have constantly added new products to our range, which has resulted in a vast range. But our basic intention was never to be a Jack of all and master of none. We have always kept our design & development on their toes, even when a product has been positively accepted in the market, we have made changes for the better instead of resting on our laurels. All the time of inception, our aim is in the field of Landing Valves, Hose Coupling, Hose pipe etc. (Iron such as and Valves) Every effort was made to adhere to the relevant National and International Standards. The company emphasize on Quality Assurance and Design Parameter. It is proud of the company to set up a Computer Aided Design (CAD) System. The Company has on its rolls well experienced and Qualified Engineers heading the Departments of Design, Quality Assurance & Production with dedicated team of Technical Staff working under them. Total area of works: 27000 Sq. Ft. Stainless Steel : (High and Low temp. service) CF8, CF8M, CF3, CF3M, CF8C. Foundry for non farours materials such as Gun Metal, 85:5:5:5, NAB - II, AB-II, LTB-II, etc. Cupola furnace in 15" & 18" size for cast iron with capacity of tons per annum. Aluminum Such as LM6 with pressure die cast.